Diligentiam is a premier provider of tax, operations, and legal consulting services to manufacturers and distributors. As the manufacturing world is faced with issues in recruiting skilled workers, managing the ever-changing tax climate, and keeping up with technological improvements, our dedicated team is here to help. Diligentiam’s technical expertise – coupled with our understanding of the manufacturing and distribution industries – provide key competitive advantages for clients. Tax credits are frequently being added to, removed from, and changes within the tax code. Our professionals stay current on all tax credits applicable to manufacturing and distribution. We can advise you on the strategic use of energy efficient tax credits, research and development tax credits, and many other credits you may not be aware of. Business deductions can also be used to reduce tax liability. Cost segregation is one of Diligentiam’s most popular and effective strategies. By shifting asset costs from a long-lived assets to assets with shorter lifespans, your depreciation is accelerated. With equipment, real estate, and many other assets in a manufacturer’s inventory, there are many opportunities to employ this technique to the benefit of your business. Energy efficient technologies can enhance both your tax credits and corporate public image. Our energy professionals will help you determine if energy efficient technologies are right for you. 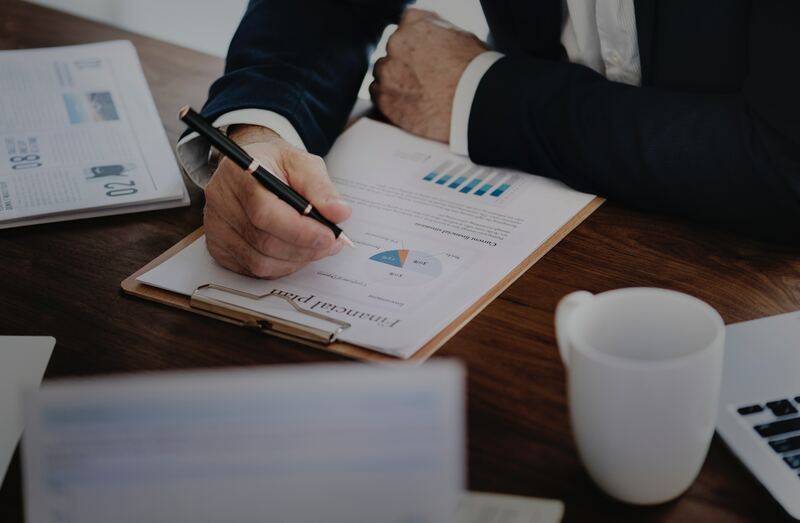 A good tax strategy will not only decrease your tax liability, but also improve your business cash flow, and increase your access to lending and other financial services. By identifying your company’s specific goals, our experts will partner with you to design the tax plan that is best for you. merger during every step in the process so you can focus on delivering quality healthcare to your patients. Like tax planning, an effective operations strategy will improve your business cash flow and ensure continued success. Diligentiam’s experts offer a wide variety of services to promote efficiency and reduce liability within your business operations. Technology brings many new and exciting changes to manufacturing and distribution processes. Unfortunately, many businesses rush to new technologies without having plans for recouping their costs. Our experts will help you find the technologies that are best for your business. We will ensure that they improve efficiency within your operations and help you access tax credits to offset their costs. With a strategic plan for purchasing and implementing technology, your business can access the benefits of new and improved distribution equipment. Employee turnover is costly, and incurs unnecessary expenses for many businesses. Our recruiting and retention programs will both reduce turnover and reduce the increased liability that comes with new, inexperienced employees. Risk management is an integral part of the manufacturing and distribution industries. Our risk experts are familiar with the unique needs and areas of liability within these sectors. By identifying risks, implementing appropriate risk management measures, and conducting ongoing assessment of your business operations, we can effectively manage the risk inherent in conducting business. Reduced risk management rating with insurance carriers will also access the benefits of decreased premiums, which improves your business cash flow. Manufacturers and distributors are subject to a wide range of local, state, federal, and even international government regulations. The costs of noncompliance can be fatal to a business that is unprepared for them. Ensure success by allowing our legal experts to identify all regulations to which your business is subject. We will implement effective strategies for ensuring compliance and reducing your exposure to legal liability. By relying on the legal expertise of the Diligentiam network, you can focus on what you do best. With large equipment, heavy machinery, and large volumes of product, manufactures and distributors face increased exposure to workers compensation claims and premises liability. This can be mitigated with appropriate legal strategies. Diligentiam offers legal consulting to find, address, and monitor the legal risks your business faces. When claims are filed, our claims management programs can mitigate the consequences for your business. We aggressively defend claims of workers compensation, unemployment, negligence, sexual harassment, discrimination, equal employment opportunity, wrongful termination, and violations of employment contracts. The Diligetiam legal team performs through due diligence investigations. We will ensure that your merger or acquisition is performed with as little risk as possible. In the event of litigation, our skilled attorneys will quickly assess your options and advise you on the most cost-effective resolution of your case. Our expert witnesses have been qualified to testify in state and federal courts, and they work with our attorneys to build a strong case to protect your business. Put the Diligentiam team to work in your Manufacturing or Distribution Company.